On friday markets yo-yo ed around 5050 levels and also closed higher above the 20 DMA level of 5051. Pattern and option data is suggesting a range bound move around 5050 levels with a swing of 50 points either side for some more sessions before Nifty can make another move either direction. 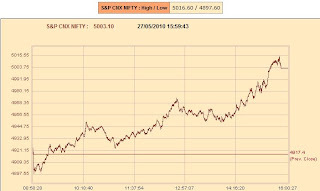 Contrary to the view of bears pushing the markets to lower levels for expiry, the day was totally dominated by bulls and saw the close a shade above 5000 levels. It is the beginning of a new series and looks like a bounce back till the level of 20 DMA levels, currently on extrapolation at 5050 levels, is on the cards and market is likely to move in a range around 5050 for sometime before the next major move. The bounce that we saw yesterday, pushed Nifty even beyond the key resistance level of 4884 and also bulls were able to make a close above 4900 levels. This has established a fight between bulls and bears for 4900 level for the expiry and majority of the data and pattern point to the fact that overall bears still have the upper hand for the expiry and might push Nifty to a close around 4806 levels. Options data saw huge unwinding in 5000, 4900 calls and accumulation in 4900 puts, which gives bullish indication, along with the PCR of 1.10. But overall the undercurrent is very much bearish and for most of the session market is likely to trade in a narrow range between 4885 and 4925 before bears take control after noon and push it near 4800 levels for an expiry of around 4806 levels. 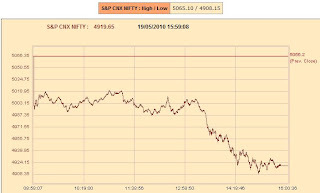 Markets opened on a weak note yesterday and bears dominated throughout the day without any bounce and pushed Nifty to test sub-4800 levels. 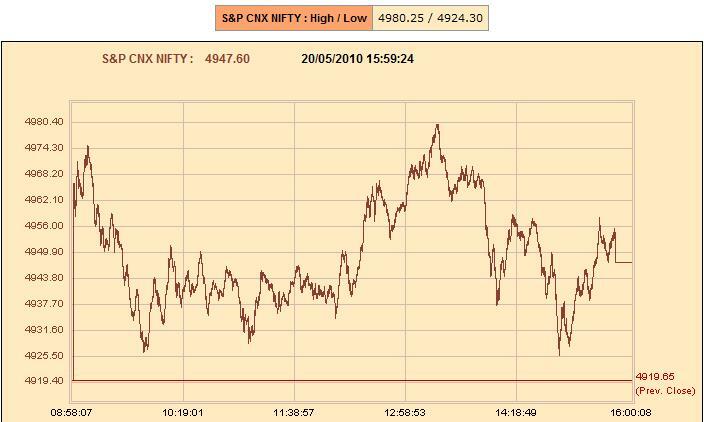 The bounce beyond 4900 levels did not happen and it looks like bears have established an upperhand for the expiry. 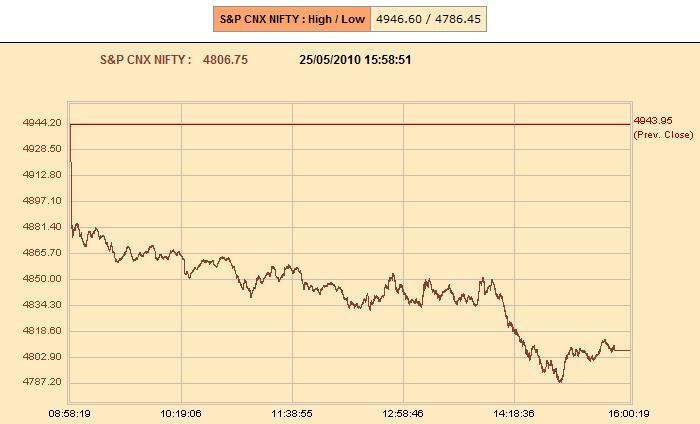 There might be a bounce till 4850 levels and even a close around that level, but most likely bears will take control for the expiry tomorrow and push Nifty below 4800 levels. This is all the more possible if Nifty is unable to move past 4884 in today’s trade. The option data saw accumulation in 4900 calls and 4800 calls as well yesterday which could be due to writing. Markets had a strong opening yesterday and were able to move higher than the 200 DMA and also the crucial resistance of 5000. But then bears completely took control in the later half of the session and moved it back to where it closed the previous day. Options data were suggesting an upside breakout throughout the day yesterday, but shorts were building up for every rise. 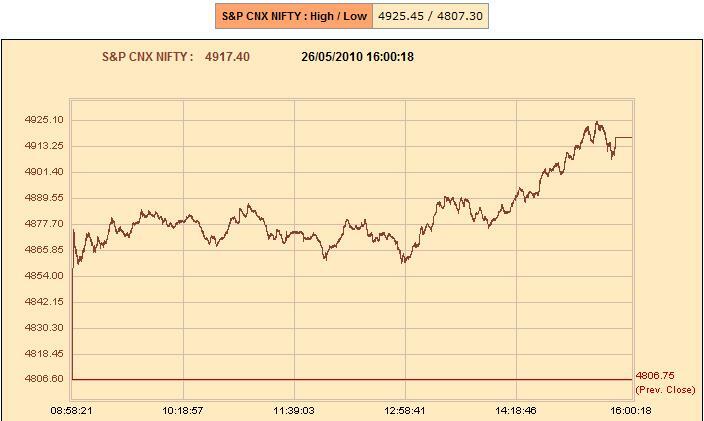 Today markets have opened in red and are hovering around 4860 levels, closer to the series low of 4842. 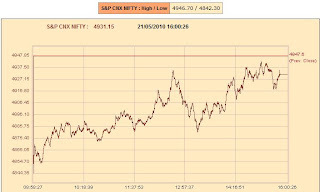 The build up in 4900 calls and 4800 put is heavy and as of now a direction from this point is not yet clear as bulls and bears still fight it out for the expiry in another two days. Overall there might still be a strong bounce towards 4950 levels any time in the day. 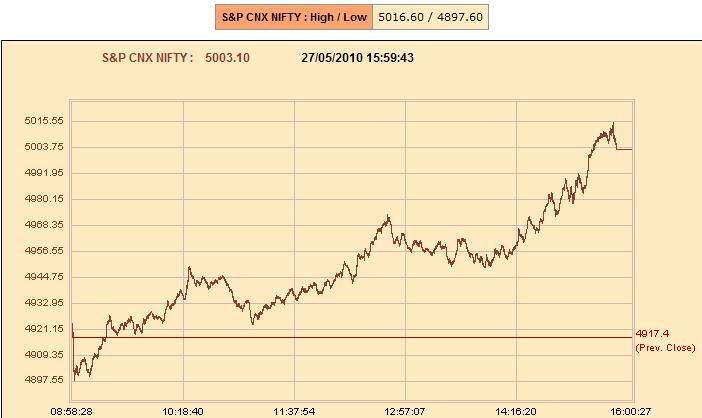 Bulls to push markets back above the 5000 mark !! 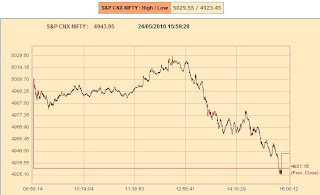 On friday, the markets dipped below 4900 levels to see a strong bounce thereafter. 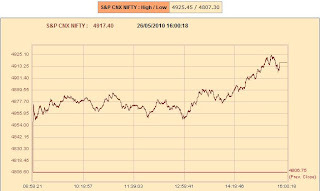 The suggested buying of 5000 calls, when Nifty was at 4850 doubled by the end of the day on friday. Looking at the options data, the build up is heavy in 5100 calls and above as well as 4800 puts. 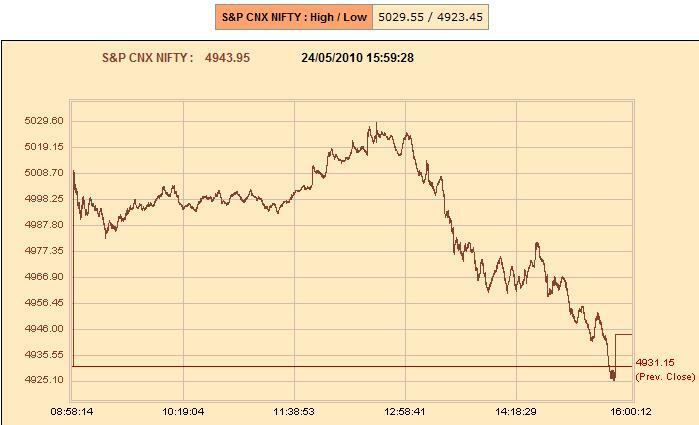 4900 puts saw huge unwinding and Nifty might sway between 4900 and 5100 levels before settling above 5000 for the expiry. As of now there are not enough indications of Nifty breaking 5100 levels and moving higher though that also seems to be a possibility. 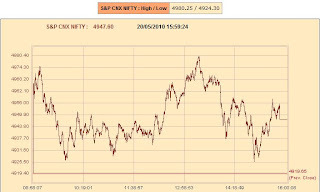 Yesterday markets were range bound, confined between 4900 and 4986 levels. The momentary dip below 4900 levels did not happen. 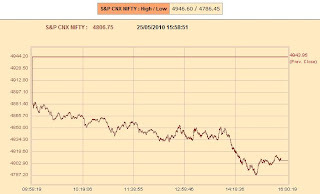 Markets have now opened gap down and is trading around 4850 levels. 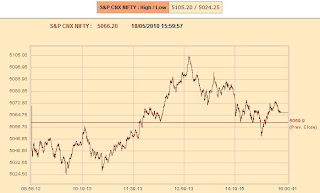 Options data indicate a bounce till 5000 levels before the expiry next week and it could be time to accumulate 5000 calls whenever market moves below 4850 levels. Bears were strong yesterday the moment markets opened below the key level of 5014 and pushed it to test 4950 levels and closed the markets well below the 200 DMA of 4986 levels. It looks like markets will remain range bound for the rest of the week hovering between 4900 and 4986 levels with bulls and bears alternating each session. There can also be momentary dip below 4900 levels but is likely to bounce back into range. The open interest in 4900, 5000 and 5100 calls increased significantly though overall the accumulation in 5000 calls is less compared to the near out of the money strikes and this points to some amount of bullishness to kick in next week. 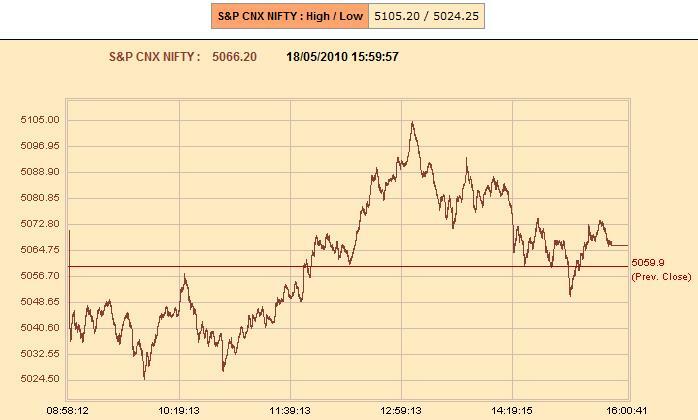 Yesterday was a neutral day marked by Nifty testing the resistance of 5106 and falling back into range. Accumulation was seen in near strike calls and unwinding in puts. 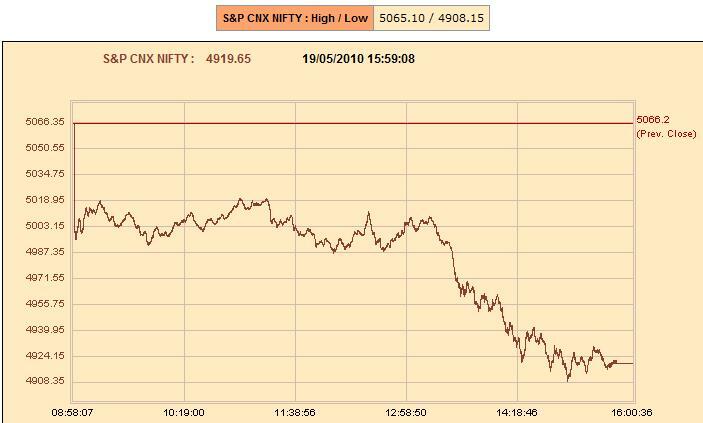 A move to test 4950 levels in the short term is happening currently before Nifty can give another bounce back to 5100 levels for this series.